Today the Xbox One public receives most of the big new features that Microsoft teased back at E3 in June: player-run Clubs, the LFG ("Looking For Group") tool, group messaging, and achievement rarity. You'll find all that in the Xbox Holiday Update, which is currently rolling out to all Xbox One players as well as Xbox App users on other platforms. The new socially-oriented features first rolled out to Xbox Live Preview Program members in September, but one feature will remain in testing. 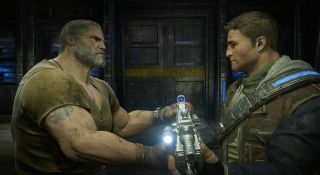 Arena, which lets players participate in regularly scheduled, officially organized competitive multiplayer events, won't be released to the general public until after the holidays. Preview program members have been testing it out with daily Killer Instinct tournaments for a few weeks now. The other new features are all pretty self-explanatory, but here's a walkthrough from Microsoft if you want more details.